Rustic industrial style bar table for outdoor, patio dining. 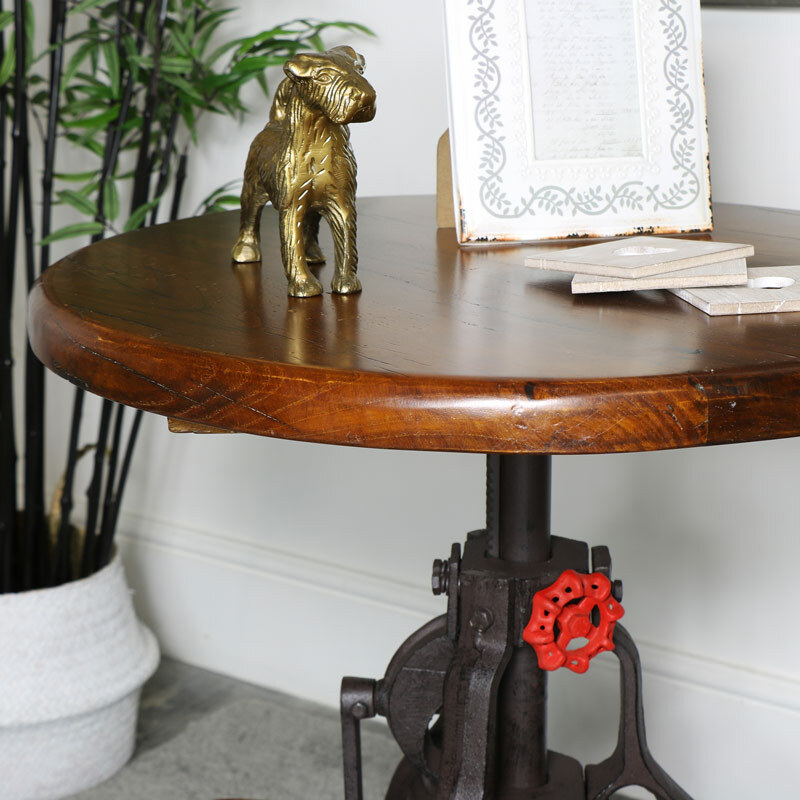 Round wooden top with cast iron base with adjustable height. Sturdy, industrial design ideal for use in the garden or for pubs, bistros and outside dining areas. 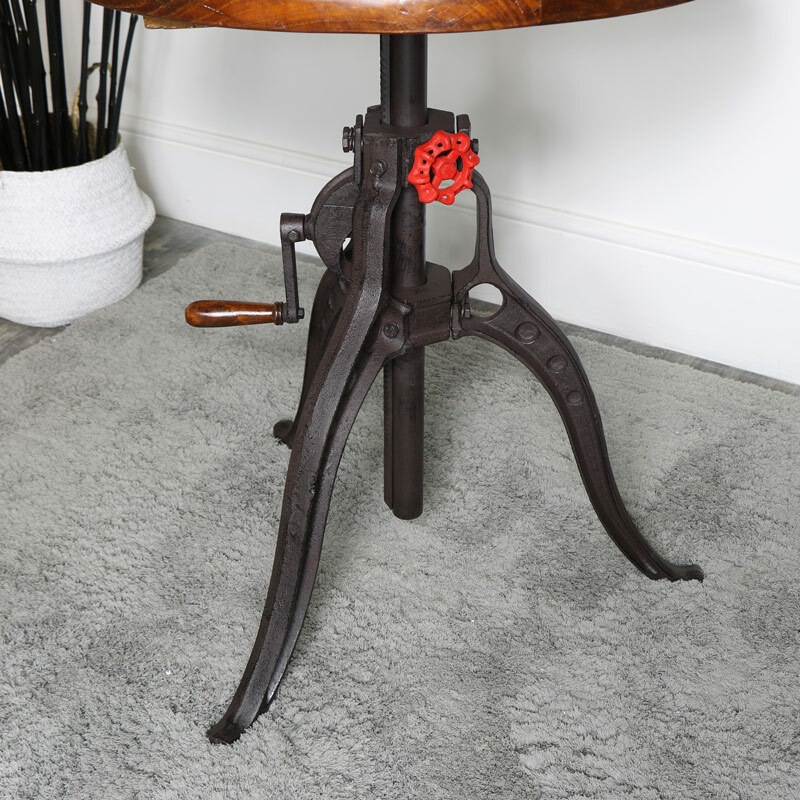 Perfect for the home and garden and a great addition to our retro, industrial style home furniture and accessories. Offering the perfect look for the modern or rustic style interior, this is a practical and robust piece of furniture. 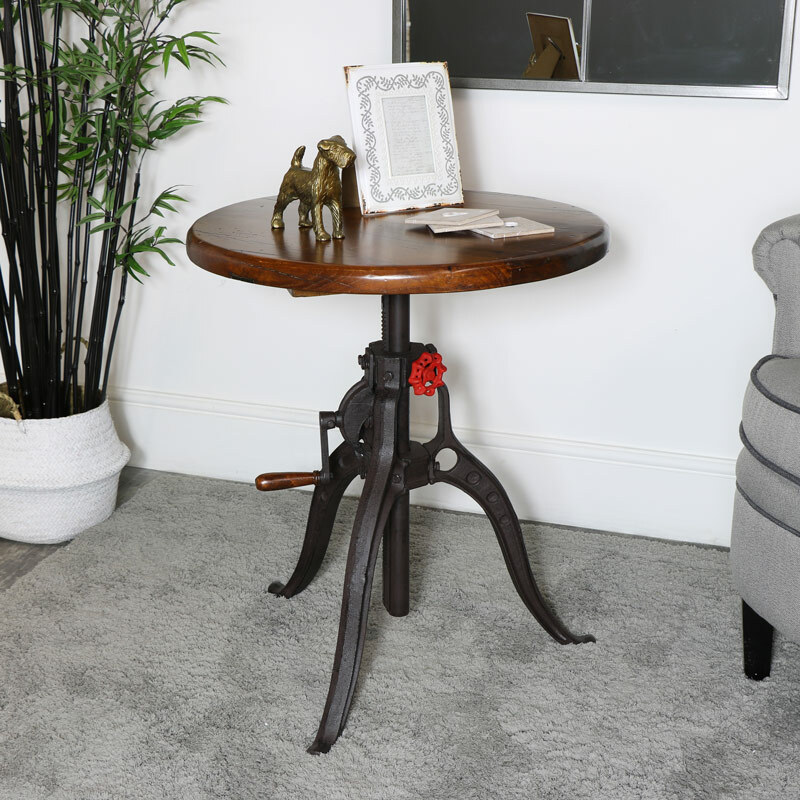 Tripod design base with a handle to help adjust the height.